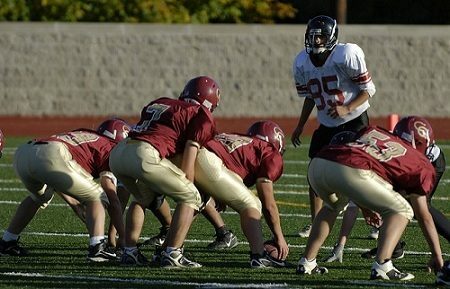 Increase your completion percentages and get better pass protection by coaching your Quarterback to read coverages. In the Pistol Power Offense System we have a great passing system that can attack any defense. And it’s simple. But it will really accelerate once your Quarterback is able to start reading coverages. This doesn’t have to be a super complicated graduate level class on reading coverages. There’s only a pieces he needs to be aware of before the snap. 4 to be exact. Listen to this episode of The Football Coaching Podcast to get your quarterback started on reading coverages. Don’t forget to download the PDF document above for the visuals from this episode.